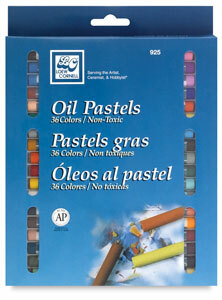 Inexpensive, beautifully blending pastels look like oil color. Use them on paper, board, canvas, textiles, or plaster. Each pastel is paper-wrapped. Non-toxic.